Related: Is PTI’s affordable housing programme just old wine in a new bottle? As journalists like Shahzeb Khanzada have correctly pointed out, it is highly unlikely that commercial banks will extend affordable mortgage credit in the current economic reality of high interest rates and the impending inflationary pressures of an International Monetary Fund programme. Further, the chances of commercial banks financing $180bn of housing construction seem improbable in a country where the total loan portfolio of the private sector does not exceed Rs4.4 trillion ($33bn) and bank deposits remain woefully low. However, the quibbling around targets distracts from more fundamental questions about the design of the initiative. The NPHP essentially proposes to address Pakistan’s housing shortage by inviting private sector investment in new housing construction financed through an expansion of the mortgage credit market. Will the NPHP be able to do so or does the design of the initiative misunderstand the nature of Pakistan’s housing crisis? The shortage of housing in Pakistan is not, as state elites like to claim, a ‘natural’ consequence of overpopulation — it reflects the entrenched income and wealth inequality in the country. 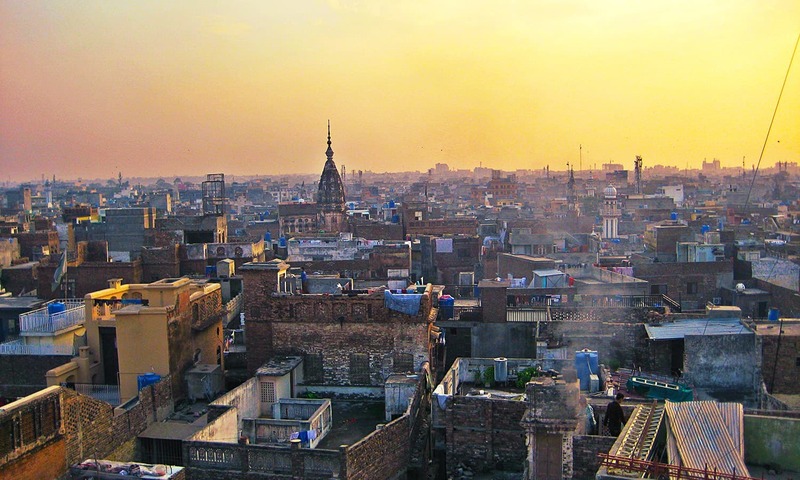 Pakistan’s rapid urbanisation (one of the fastest in South Asia) has been driven in part by widespread rural landlessness, entrenched social discrimination and violent conflict in the country’s peripheries, which has led to millions streaming to cities in search of security and economic opportunity, pushing up housing demand. However, the supply in the formal housing market (dominated by the private sector) does not match the needs of the majority of citizens. Ninety-nine per cent of housing in the formal market is beyond the buying reach of 68pc of the population. This is, in the first instance, because existing housing prices far outstrip median household income — according to the State Bank of Pakistan, the house price-to-income ratio in Pakistan is 20:1 (compared to a global average of 5:1). This gap between housing prices and incomes is widening; between 2012 and 2017, housing prices in Pakistan more than doubled and rents grew by 180pc, while incomes grew by only 15pc in the same period. Much of the spike in housing prices is driven by land prices, which have risen by over 152pc since 2012. Why have housing and land prices outstripped income growth so spectacularly? The answer is closely related to the exponential growth of speculative trade in real estate in Pakistan. Pakistan’s real estate sector, which grew by 118pc in the last five years, is one of the least transparent or regulated in the world. Until 2014, the sector wasn’t even taxed, with the state maintaining a ‘no questions asked’ policy about the source of capital, turning it into an ideal destination to launder money and hike up prices through artificial bubbles. Despite boasting assets now estimated at $700bn, the sector contributed just Rs23bn in tax revenue in 2018 — less than 0.1pc of GDP. This lack of regulatory and financial oversight has enabled, in the words of the sector’s own representatives, “the trading of real estate as a commodity by speculative investors” rather than a productive or usable asset. Hence, despite consistently high returns on investment and a spike in China-Pakistan Economic Corridor-related foreign investment, the sector has failed to invest in housing production, preferring the rapid capital gains from speculative trade in upscale developments, pushing up prices and limiting affordable housing supply. The NPHP correctly identifies insufficient bank lending as an obstacle to construction. Yet, this fact itself is connected to how speculative real estate has become a capital trap. It absorbs billions in national savings as well-off households increasingly prefer the safer and higher returns of real estate ‘plots’ rather than financial savings, severely limiting the pool for bank lending and investment. Ever since the property boom of the early 2000s, consistently less than 30pc of national savings have found their way to the financial sector. This unsustainable status quo has been allowed to persist largely for political reasons — the real estate sector has a very powerful nexus of patrons. This includes the major developers (including Defence Housing Authority, Bahria Town and others), propertied political elites and city ‘planning’ bureaucracies (like Capital Development Authority and Lahore Development Authority) that have colluded to commodify and privatise hundreds of thousands of acres of public and agricultural land for profitable real estate ‘development’ in recent years across the country. As Dawn and others have documented, this process often takes the form of land grabs and forced eviction in the name of ‘public interest’ through colonial-era laws like the Land Acquisition Act of 1894. The lure of speculative investment in new schemes has been encouraged by outdated and unenforced zoning and land use laws, that have incentivised sprawl over densification. Suburban gated communities have proliferated around all large and medium cities, with hundreds of thousands of large residential plots within them lying unconstructed and unoccupied for years, placing an avoidable strain on essential services and infrastructure. 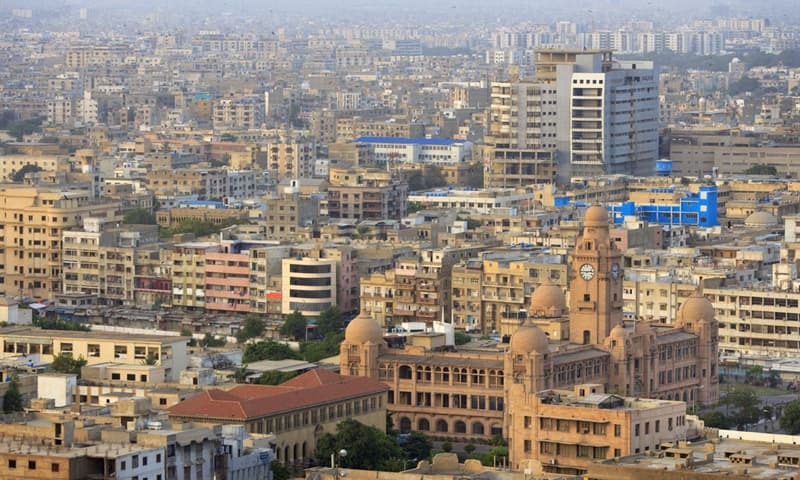 In Karachi alone, over 200,000 residential plots and 62,000 apartments were vacant in 2015. 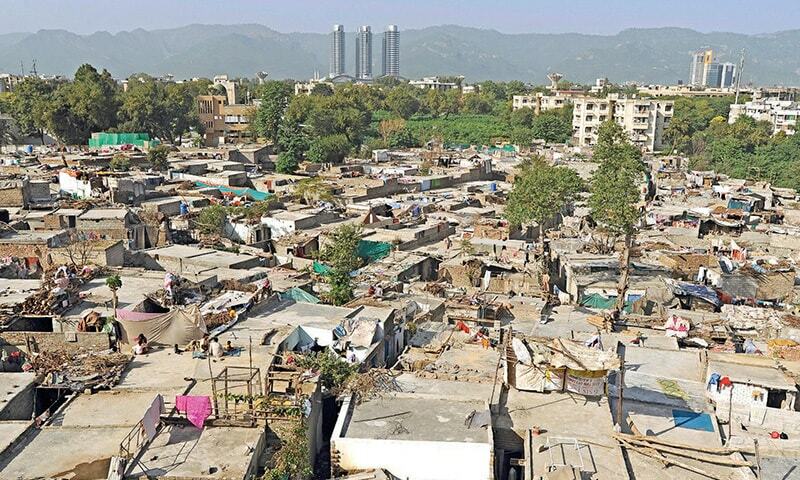 Katchi abadis are the underbelly of this development model, where an intermediary class of land grabbers (or property traders) leverages its relationships with elected and unelected officials to capture land and profit off the poor’s shelter needs. These settlements, characterised by insecure tenure, densities of up to 4,500 people per hectare, negligible access to clean water or basic services and continual exposure to environmental hazards and eviction threats, now house over 45pc of the urban population. They persist in such squalor because a rentier class both within and outside officialdom profits personally from state and market failures in housing. Pakistan’s crisis of affordable housing must be understood in this context. The majority, including the bulk of the middle class, are unable to afford homes because of a regime of urban development that aggressively commodifies and privatises land and incentivises speculative, non-productive trading in real estate rather than investment in production for the fulfilment of people’s economic and social needs. The failure of past, half-hearted attempts at low-income housing by governments is in large part because they did not acknowledge or address the contradictions in this model. Unless fundamental changes are made in the structure of incentives and distribution of resources in our cities, there may be little to prevent the NPHP from becoming another speculative bonanza that pushes up prices while failing to meet the needs of its targeted population. Even worse, the use of state land as collateral for mortgage credit in the prevailing climate of high interest rates could create a significant risk of a large scale transfer of public assets into private hands – similar to what occurred in the sub-prime mortgage crisis in the US. Building affordable housing and creating a sustainable model of urban development will require Pakistan to change how it develops and regulates land. Critically, the state needs to encourage a shift away from the treatment of land as a speculative commodity and ensure a more judicious and efficient use of a scarce resource that carries immense economic, social and ecological value. Any process of reform must involve a concerted policy effort to document, regulate and adequately tax the real estate sector. The objectives behind this must be threefold— to systematise and standardise urban land management and information, to generate revenue for the state, and to stimulate a transition of capital from inefficient and non-productive land-holdings towards housing (and commercial) production and financial savings that can fuel investment and credit. This will be resisted by real estate lobbies of course, but the fact is, all relatively functional and well-performing housing markets around the world are tightly regulated ones with a strong state role. Furthermore, freeing up capital from the speculation trap is fundamental to generating the finances required for construction and the savings required for financing credit. The transition to equitable and sustainable land use must be facilitated in part by changes in the legal frameworks that govern land development, disposal and use. To reduce distortions in the land market that drive up prices, the colonial land acquisition acts that allow developer oligopolies to commodify agricultural and state land for profit in the name of public interest must be reviewed. To discourage suburban segregation, zoning laws must be changed to require state and private developers to dedicate fixed proportions — such as one third — of land in new investments for low-income housing and ensure minimum densities, smaller plots and mixed-use constructions within new schemes. To prevent wasteful land accumulation and free up capital, penalties for non-utilisation and ceilings on individual ownership of urban land can be used, policies that have been applied to great effect in countries like India and Colombia. Instead of pursuing unrealistic targets for new housing units, the existing informal response to the housing shortage — katchi abadis — must be documented and upgraded on-site wherever possible. This will reduce the cost of new construction and infrastructure, while ensuring security of tenure and access to essential services for millions of citizens. Upgradation can be funded through a mix of self-finance, private investment and credit subsidies, as part of a planned, participatory programme of urban renewal and housing improvement, which can help revitalise decaying neighbourhoods and generate revenue through formalisation. The actual targets for new affordable housing construction must be based on an evidence-based needs assessment and effectively targeted to ensure it actually reaches low-income segments. One effective method of targeting is the model of incremental housing, whereby households are provided subsidised access to land given they are willing to be part of the building process and ensure occupancy. Under the incremental model, building components are gradually added and improved as funding and materials become available and property rights are granted over time. This model has been employed in the past in projects like Khuda Ki Basti in Hyderabad (which ensured near 100pc occupancy on a largely self-financed basis) and serves as a filter to weed out speculative investment while ensuring lower costs. In order to better distribute the risks and costs intrinsic in home-building, alternative models of community-based ownership and tenure should be explored (instead of focusing solely on developers and individual homeowners). This includes incentivising institutions like community-based land trusts, in which land is removed from the speculative market and leased to community organisations or cooperatives for building housing, business, agriculture and mixed-use infrastructure. Community-based approaches have been employed with success in countries like Uruguay and Philippines and are also a useful way for low income households to gain access to credit as a community and ensure a shared credit burden. Pakistan’s housing crisis has reached this point because of an opaque city planning process in which small groups of civil-military bureaucrats have the authority to make (often poor, uninformed and self-interested) decisions about housing and land on behalf of millions of citizens, usually in collusion with private profiteers. The composition of the prime minister’s housing task force — stuffed with bureaucrats and investors — appears set to continue this pattern. Unless this cycle is broken, we will not be able to effectively utilise public resources for meeting the needs of citizens. This means we must decentralise and democratise the process of urban planning to include communities, architects, urban planners, social scientists, environmentalists and academics in decision-making about land use and urban development. Ensuring dignified housing for all must be made a central concern of this planning framework. While these steps are likely to ruffle the feathers of established interest groups, they are essential for realising the goal of affordable housing for all. If the NPHP is left to the whims of the same interest groups that control urban land in Pakistan, we will simply reinforce the current disparities. For genuine progress towards the right to housing in Pakistan, it is essential that we reassess our unhealthy, unequal and destructive relationship with land and build an urban development model that places our economic, social and ecological needs above the greed for unmitigated profit. The writer is a development professional and a political organiser with the Awami Workers Party. 'Naya' Imran Khan Niazi goverment has no money to build a house. Very good intention from the Pakistani Govt. Govt. should provide small small loans without interest to those families and individuals, that have already owned a piece of land in xyz societies and want to build their home. Priority should be given to those families / individuals who are renting a House/ Apartments. Moreover an extra institute should be made in every city / village, that should be controlled by the Pakistani Govt, where citizen can register /sell and purchase their properties legally, only in this way builders couldn't sell a single plot to more persons. PTI housing plan has no benefit to the general public rather it is beneficial to international money brokers. By this project what PTI achieve 1. They will invite international lenders to come to Pakistan and give loan to Pakistanis 2. Change the public thinking. At this time majority of people think and act to live within their means. After this program they start to think out of their means and live on loan. Every buyer will become hostage of the foreign banker and have a huge amount of debt by getting this house 3. Govt. Land will be distributed to foreign friends of IK free of cost. 4. Friends of IK will get a lucrative business, get free land, built house with money from bank and get their profit before handing over the houses. 5. Every house hold will get a loan and then pay off loan plus interest for rest of his life. 20-25 years. 6. Small developers, contractors, businessman will be out of market and only large international corporations can operate in the country. All public and small business man become hostage of the large international corporations. Thank you for this article. It is very informative. Pakistanis believe that property prices will only go up. People who own a few residential plots wants to become a millionaire. Excellent article. Let housing projects be launched and managed by community groups. OK, so you get an intelligent leader and promote an intelligent government and these kinds of factual and informative articles start appearing in the press! However, the estimation that 5 million homes will cost $180 BILLION dollars is inaccurate (unless you plan to build mansions)! Please re-run your numbers on that. I would estimate that a low-income house would cost between $10,000 and $20,000 (US Dollars). At least that is what it would cost in countries with similar GDP's as Pakistan. Yes this is a good beginning, only way poor and lower middle can own houses is through mortgages.This is how people buy houses in the west and it is one of the biggest industry in the world.If every thing is organized well it can be major job provider and the good part is that the government is just a facilitator the private sector takes care of the finances. These charts and graphs, or figure crunching will not work. Simply, at city/village levels create a network of small co-operative societies. Make poor people members on nominal terms. Invite philanthropists from within the country and outside to buy shares, or donate in terms of say 3 bags of cement per family for this noble cause of housing for poor. Initially build one or two bed-room apartments giving them loans repayable on simple conditions. The biggest problem in Pakistan is not about lack of philanthropists. The problem is that of work simplification and honest management. @Common Man Do you really have any examples of how all these things have happened in the past on any nation or to any people? A lot of what you say seems to elude political affiliations. Interested if you have a sound basis for this argument. On the flip side, there are dozens of countries that have established this model quite successfully. @Hamad S : yet, it will need 50 billion dollars per your estimate of 10,000 USD per house. still too much with total deposit size of 33 billion $. this does not include the financing cost for 20-30 years which would at least triple this amount for repayment making it 150 billion $. if upper bound of your estimated is taken, it will be straight 100 billion dollars. way too much. I think IK does not know the meaning of million. he must be assuming it three zeroes instead of six. This for sure will address the root cause. The root cause is slow/stagnant growth. The only way to keep economy going is to bring investment in an area that will have trickling affect. If government makes sure that construction uses local labor material, we can get the economy moving forward fairly quickly. However, if they allow imports of items that can easily be produced domestically, we will not be able to grow the industry. Whoever the foreign investor is, should only be allowed to profit from selling houses (finished product) and not by giving lucrative contract to foreign suppliers and engineers. This will ensure that invested money will be reinvested in further growth, creating wealth and reducing inflation. In my opinion even if the money invested in housing sector is borrowed locally money, it can also do the same as long as the borrowed money can be repaid quickly. Though this might increase inflation in short term but eventually reduce it back to what it began with. Yes, it will. Any other questions? Real estate has been the "go to" haven for tax thieves to whiten their money for the last 70 years. "Business friendly" governments from both parties, i.e "elect us and we won't ask about your income taxes", were looting the country blind while the masses got poorer and poorer, with stunted growth, no water, no schools, no housing. Excellent article. The writer had really worked hard on this article. He is right--the shortage is the bye product of over population. Why no one takes care of this issue and consider it a real problem. The roads, streets, bazaars are flooded with people everywhere--you can't find a single parking space anywhere in Lahore. Every government had handled and played upon this housing issue and worked to give something but all of them materially failed. First, this should not be a government issue to start with. Government had no business in housing, cooperative markets. The governments can ease credits, housing laws, homeowners association bylaws, zoning, material transportation and training of construction workers with emphasis on modern designs--and that should be the extent of it. Pacchhas laakh ghar--is just a cheap slogan. Where they going to get land, constrruction and of course ill-trained workers. The land around major cities has already been acquired by other private construction companies. We don't need shoddy housing. Remember, the Faisal Town multi-story complex was an abject failure with design defects, prostitution, and later complete commercialization. It like dinosaurs building for a very long time. No, they won't address the root cause. Many bigwigs in the party belong the Real estate Sector and the prime minister and the president both hold some of the most expensive properties in the country. They wouldn't want to devalue their own investments. They didn't do it for 5 yrs in KP, then won't do it now. Just hogwash of finding black money in real estate, not in Pakistan! you need whole infrastructure, water, sewage facilities, roads and more. Big infrastructure projects do not run on the assumptions you are making. Think realistically and with ground facts. PTI Govt has provided a policy to acquire homes, now the people who are / will apply should also be held responsible, because many people after getting a home will sale it for some profit and again start crying and blaming the Govt for all the bad in their life. Citizen should also be held responsible!! Land mafia is responsible for high house prices. No government of Pakistan can fulfill the demands of poor if population go on increasing at an exponential rate. By the time the government will be able to complete building houses for say 5 million people another 20 million will be in the queue. @MALIK "The roads, streets, bazaars are flooded with people everywhere--you can't find a single parking space anywhere in Lahore." What a contradictory statement. How can you afford all these cars when you cannot afford a house? Generally people find a house before buying a car. @Hamad S "I would estimate that a low-income house would cost between $10,000 and $20,000 " Where does the money go to when 100 houses are built? Mostly labor. If you consider that the material is all local and the labor is paid adequately, these 1-2m$ will be spread among some of them. You can calculate when the number of houses increases. But that is beneficial to the economy only under one condition: no money goes to government officials as bribe. If the government can insure that, it will not even need to start such project, it will start on it's own. But of course lot of these officials may feel betrayed. That is the real challenge. Govt should ban new housing schemes in our major cities and establish new cities. DHA, bahria and etc must be stopped using agri lannd. 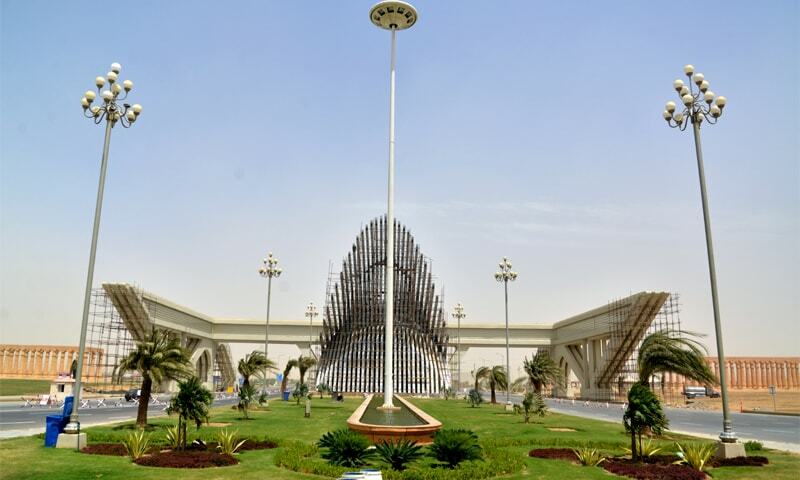 Thousands of plots are available are on sale in these schemes-check zameen.com. This is great article shedding light on many aspects of the housing policy in long term. I just have two questions a) I thought first priority of the new executive was going to be human development, i.e. EDUCATION, healthcare, law and order, consumer protection, good governance and infra-structure not building monuments. b) from personal experience and observation I see that Pakistan woofully short of skilled trades like masons, carpenters, plumbers, electricians, and dozens of others. Facilities for training these folks are few and inadequate. Where are we going to bring them from. and building a million housing units is going to take whole lot of the. Sir .... Heads off to you.... A very well written article...Even I am IK and PTi supporter but I must say current govt. even don't know what is the problem. I just need to add three points here. Real estate mafia raised land price unrealistic and now they are saleing on their own rates. This is not investment but "cartelization" and "Zakheera Andozi". Lot of land is unused for numbers of years. Govt. need to intervene and nationalize if an residention plot is not used for more than three or five years. Cement Mafia : I worked for cement industry and know in an outs of this industry. The price on cement should not be more than 200Rs. but again cartelization raised price to 520Rs. Govt. need to take strict action against this cement cartel. House Building loan: Govt need to give loan on very low markup and make procedure very easy so poor people can take loan. Govt. is not to make house by itself his duty to regulate and facilitate. So clearly written! This should be essential reading for anyone thinking about policy design concerning low income housing. @MALIK The Government of Pakistan owns all land that isn't already allotted. They don't have to 'produce' the land out of nowhere.